Modified Hair Implantation is new and advanced method for hair transplantation. MHI is a combination of advance hair transplant, Platelet Rich Plasma (Prp) therapy along with addition of patented specific growth factor which gives boost to existing hairs and ensure the growth of newly implanted hair to ensure uniform growth for excellent result. 1) It is an exclusive combination of advanced medical & surgical hair treatment that ensure great result. 3) Less traumatic / quick recovery / less handling of the graft / increased graft survival. 4) Hair care kit which gives boost to your existing and newly implanted areas. Step 1: Detail Hair Consultation with Computerized Hair & Scalp Analysis. Step 2 (Prior To Procedure): Platelet Rich Plasma along with Patented Specific Growth Factors (if not possible we can prescribe medicine as a alternative) to improve blood circulation and provide nourishment to ensure. Uptake of newly implanted graft and provide nourishment to existing hairs. Step 3 (Procedure): Advance Hair Transplant along with Prp + and Patented. Specific Growth Factor.+ 6 Month Hair Care Medicines. Step 4 (Post Procedure): 4 Session of Prp +& Patented Growth Factors In 20 days interval. Step 1: Detail hair consultation with computerized hair & scalp analysis. Blood investigation to diagnose the type of diseases. Step 2 (Prior To Procedure): prp + along with Patented Specific Growth Factors (if not possible we can prescribe medicine as an alternative) to improve blood circulation and provides nourishment to ensure. Uptake of newly implanted graft and provide nourishment to existing hairs. Step 3 (Procedure): Advance Hair Transplant along with Prp + and Patented. Specific Growth Factor. + 6 Month Hair Care Medicines. Step 4 (post procedure): Session of Prp + & Patented Growth Factors In 20 days interval. 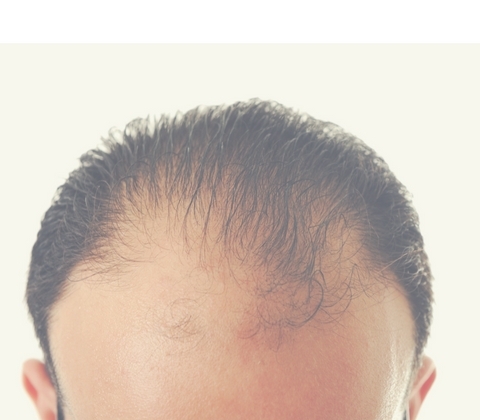 pattern baldness is responsible for the majority of hair loss. This comes down to genetics. Preparation for the hair transplant - In the initial step of the Hair Transplant Surgery, hair fol ..
Donor area trimmed - Before the surgery is started, the hair in the donor area are trimmed. Donor area prepared for surgery - Once the hair in the donor area are trimmed it is given local anesthesia. Tissue in the donor area removed and the Donor area sutured - The tissue in the donor area that contains the bald resistant hair follicles is then removed surgically and the donor area is sutured. Combed hair over sutured donor area - The sutures in the donor area are hidden from the patient’s hair that is combed over them. These sutures are removed almost ten days after the hair transplant surgery. Donor tissue trimmed into follicular unit grafts - Microscopes are then used by the surgical technicians to view the donor tissue for dissecting and preparing follicular units hair grafts. Bald recipient area prepared - Once the local anesthesia is given to the patient, the balding recipient area is prepared for the surgical process No trimming/removal of hair is required at the top of the recipient area. Incisions made in the balding areas - Follicular Unit Grafts are placed in the tiny incisions that are made in an irregular pattern in the recipient area. Grafts placed according to their densities - The smallest grafts (one and two) are placed in front of the hairline and three and four (denser than one and two) are placed behind. Immediately after the Hair Transplant Surgery - After the hair transplant surgery, tiny incisions with short hair would be visible on the patients operated area. Closing of the Hair Transplant Surgery - The incision marks heal naturally and the redness in the recipient area vanishes itself within a week. Hair transplant is a non-invasive procedure and is on several occasions done on an outpatient basis. Most patients are allowed to shampoo after two-three days although the scalp needs to be protected from sun and infections for a while after the surgery. The patients are generally put on antibiotics for a few days.